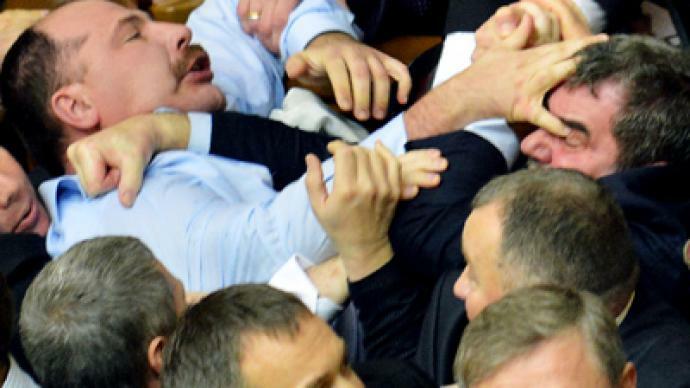 Ukraine's new Rada session on Thursday showed how hot headed politics can get in the country. 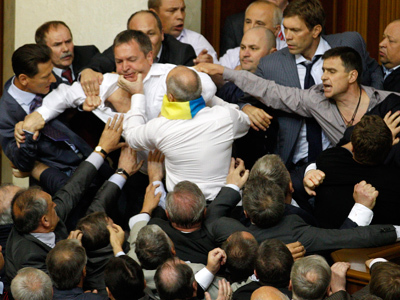 Enraged deputies rushed to block the parliament's rostrum, brawling their way through and trampling on their rivals. ­Opposition party MP's broke into a fistfight with the representatives from the pro-presidential Party of Regions, after alleging that some deputies of the ruling party voted for their absent colleagues during Thursday's parliamentary session. 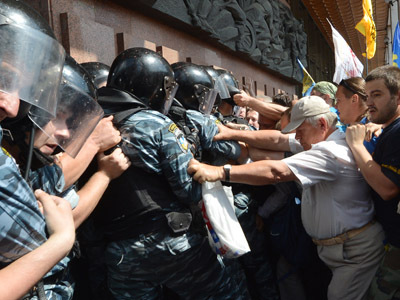 The resulting chaos blocked the rostrum of the Ukraine’s parliament, and a thirty-minute break in the session had to be announced. 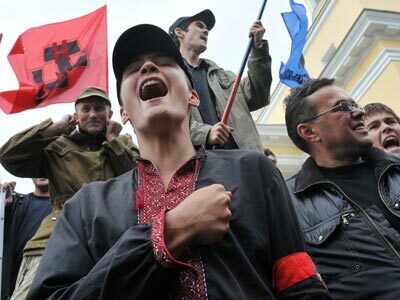 Despite the heated beginning of the session Volodymyr Rybak, Party of Regions MP, was nevertheless elected for the position of the speaker and Mykola Azarov, also of the ruling coalition, has been approved a new term as Prime Minister of Ukraine. 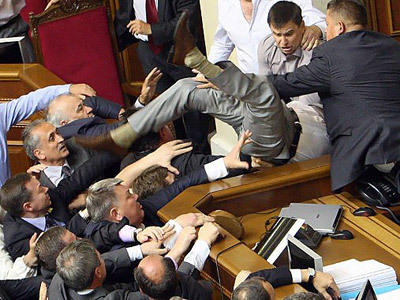 Scuffles are not uncommon in the Ukrainian parliament and the long-going fistfight tradition has already led to some injuries in the past. 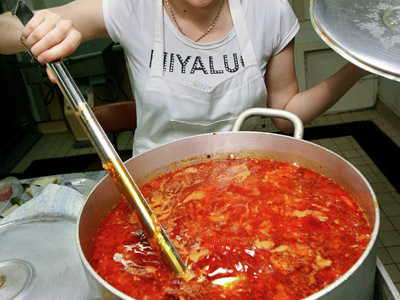 One opposition MP was hospitalized and another had his ribs broken as a result of raucous summer Russian language status discussions.